Please click here to read the communication to parents/carers regarding the introduction of charging for Instrumental Music Instruction. Unfortunately, due to the heavy rain overnight and this morning, our football pitch is totally waterlogged. It’s not safe to play football today, so we plan to hold the Jordan Houston Memorial Football match this Friday morning at 9.30am. Hope to see you there! IRONKIDS Scotland is a series of three fun and family-focused running events for young people aged 3 to 14 of all abilities. The new running events being staged on Friday 29 and Saturday 30 June 2018 in Midlothian, East Lothian and Edinburgh are an exciting addition to the IRONMAN 70.3 Edinburgh race weekend and part of the global IRONKIDS running series. They are also a key part of Scotland’s Year of Young People 2018 celebrations. Organisers are inviting young people to sign up to race at one of the venues and enjoy the running, the challenge, the competition and the camaraderie with their friends, as well as the family entertainment and sports taster sessions that will be laid on. The IRONKIDS Scotland events have a firm focus on participation for all with age group races of between 500m and 2km. Each event will incorporate a strong family element with spectator friendly courses, free live entertainment, activities and sports taster sessions, whilst at the same time inspiring children to lead a healthy and active lifestyle. It is only £4.00 per person (plus a small booking fee) to enter IRONKIDS Scotland. Entry includes an IRONKIDS T-shirt to wear to race and a Finishers Medal. IRONKIDS Scotland is the newest event in the hugely popular IRONKIDS global series of children’s events, staged alongside the legendary IRONMAN and IRONMAN 70.3 triathlon events, with 50,000 young people across the world taking part every year. For more information on IRONKIDS Scotland and to register go to http://bit.ly/IRONKIDSscotland or search IRONKIDS Scotland. We’re looking for helpers for sports day – we need around 10 adults to help out on the day. If you are able to help, please let us know at the school office. Mrs. Ramage and Miss MacPherson would like to meet with volunteers at 3pm on Thursday 14th June, just to go over what they will be required to do. Thanks! Please find below a letter from Vanessa Sanal, Service Manager at Facilities. To provide variety and choice in school meals throughout the school year East Lothian Council provide a seasonal summer and winter menu. Each menu cycle consists of a choice of 2 hot main meal options (includes a vegetarian choice), a filled baked potato option, a plated salad option and a choice of dessert. Complimentary bread, salad and a cold drink are available with the meal. These meals are available Monday–Thursday with a packed lunch option available on Friday. All menu items meet the Scottish Government’s nutritional standards. East Lothian Council is committed to providing a high quality school meals service. There are huge benefits in children eating a nutritious 2-course meal at lunchtime. Research also shows that if children eat a nutritious midday meal at school, their concentration and behaviour improves, they gain important social skills and they are more likely to eat their recommended ‘5 a-day’ fruit and vegetables. As a result of supplier increases in the price of food products there is a need to increase the price of a primary school meal from £1.90 to £2.00, please note there has not been an increase in school meal catering since 2011. This increase will commence in August 2018. The school meal continues to offer good value for money as well as contributing to the well-being of children whilst at school. Haddington Table Tennis Club invite you to take part in the Table Tennis Primary School Championships. This event is taking place in the Haddington Corn Exchange on Friday 8th June. Play starts at 1.30pm. Click here for online registration, or download the form here. 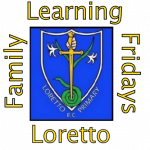 Family Learning Friday this week! Our next Family Learning Friday workshop is this week, on Friday, 18th May. This will be a Maths workshop, run by Mrs. Rice and Mrs. Ramage. The workshop will begin at 11am and end at approximately 11.30am, and takes place in the P3 classroom. If I Were Provost…Closing Date Extended! There’s still time to enter the council’s If I Were Provost competition – the closing date for entries is Friday 11 May. ‘If I Were Provost’ is a competition that asks young people what would they do if they were ‘in charge’, how they would improve life for young people in the region, what new policies they might introduce and why. We’re asking young people to get creative and share their ideas on how to make the county a better place for young people, for this competition held as part of the Year of Young People. …or any creative approach that you think is best! category 2 (ages 14 – 18). One winner from each category will be invited to act as a Young Provost alongside Provost John McMillan at a number of events throughout 2018. The winners will also receive a goody bag of gifts from East Lothian tourist attractions, including passes to Foxlake Adventures in Dunbar and North Berwick’s Scottish Seabird Centre. The winning entries, plus a selection of entries received, will be on display at libraries throughout the county during the summer of 2018. As you may be aware, the Early Learning and Childcare Service Model for 2020 Consultation Paper was launched by the Scottish Government on 29th March 2018 and will remain open for response until 29 June 2018. East Lothian Council is putting together a response to the Scottish Government consultation and is keen to make sure its response takes account of the views of local people. Please remember if you wish to reply directly to the Scottish Government you will need to do so separately through their consultation hub.